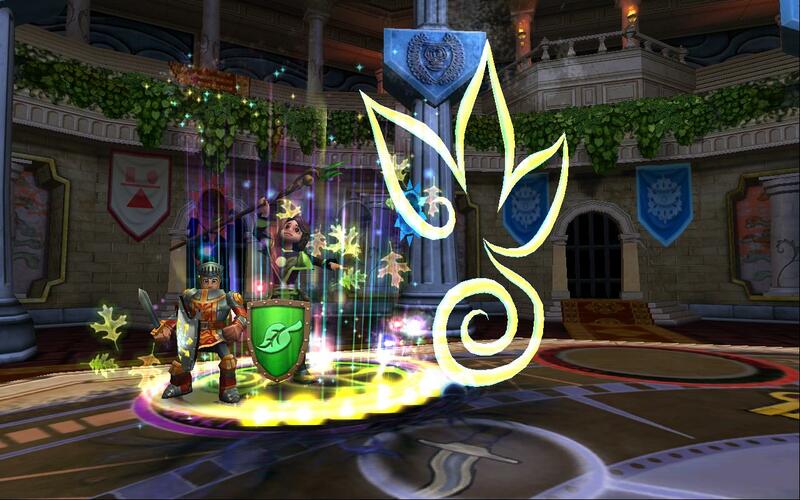 Wizard101 has four epic dungeons you might not have explored yet! 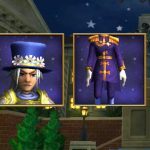 In this guide, we will visit Barkingham Palace in Marleybone. To enter this place you need to be level 40. Go to Marleybone and talk to Private Kinchly in Wolfminster Abbey (he will give you the quest). Barkingham Palace is set behind the gate flanked by two Royal Guard bloodhounds. When you walk through those doors, you will be welcomed by our old friends Sherlock Bones and Watson. Dogfood! There are no cheats in this dungeon, so just keep doing what’ you’re doing. As we enter the State Wing, a corrupted Yeoman Warder tells us we aren’t supposed to be there and attacks us, while Dr. Jackall tells us it’s too dangerous. There are no cheats, so choose your own way to defeat them. After defeating them, Dr. Jackall tells us that an Opera Singer is after the Queen’s Jewels. We hurry to the next room where we are intercepted by some White Rat Magicians calling us a Mutton Shunter (an 1883 slang term for a policeman) and bringing out their knives. No cheats, classic mob fight. Pay attention in this room! On your far left side you will find Skeleton Key Door that requires Wooden Skeleton Key. Inside the room is a Fire boss, Billy the Cutter (Rank 7 Fire), that drops gear, motes and up to rank 8 mega snacks! Read about his cheats in the wiki’s article. In the next room at the end of the dungeon we encounter the Opera Singer Catrin Cheshire. She tells the final boss in the dungeon, “The Woman’s Right Hand” She shows her sensitive side telling them to be careful around the face. Catrin informs us that Dr. Jackall hired her to gain him entrance to the palace and find the Queen’s Jewels for some kind of alchemical process. If we hurry through the courtyard to the Main Hall, we can catch him! We head out to the courtyard and speak again to the omnipotent Sherlock Bones. He sends us off to find Chief Whip and help him arrest Doctor Jackall in the Main hall. We would recommend bringing some life dispels (entangle) and a few feint treasure cards so that you could stack them for big hits on the bosses. As we enter the Main Hall, we receive another warm welcome, this time from some Corrputer Genadiers. There are no cheats from them. Chief Whip awaits us in the next room and tells us that Doctor Jackall ordered him to keep the area clear of disturbances. Perhaps we should have mentioned Watson sent us, because mentioning Sherlock doesn’t seem to help much. Did I mention the Chief cheats? We suggest casting a life dispel (Entangle) on the Chief before any other spells are cast. Pay attention in this room! 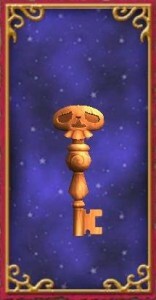 On your far left side you will find Skeleton Key Door that requires Wooden Skeleton Key. Inside the room is a treasure chest that can drop gear, motes and up to rank 8 mega snacks! After we finish giving Chief Whip a can of whoopa, a Bulldog Sergeant Major informs us that a foul golem hypnotized them with its noxious gas. He tells us that we’ll have to defeat both Chief Whip and the the golem to break the hold on the Mesmerized Yeomen Warders. Chief Whip tells us that Doctor Jackall kidnapped the Queen and we’ll never catch them before they reach the Royal Airship, while the Noxious Gas Golem attempts to mesmerize us and impress us with his counting skills. Once freed of the noxious control, Chief Whip tells us that Doctor Jackall jammed the rooftop lift behind him. We’ll have to take a door back to the Courtyard and find another way. Upon returning to the majestic courtyard, the all-knowing Sherlock Bones deduces that Doctor Jackall is taking the Queen to Her Royal Airship and orders us there to stop him. Elementary, my dear Watson! 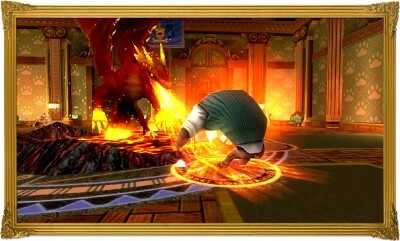 Other than that, whatever book you pray with might be helpful too, as the last fight is quite a challenge for a level 40. Note: you can read the entire Rooftop dialogue here. Our first encounter is with Dr. Jackall’s lovely right-handed Margherita Vizzini from the Opera Nova school of Valencia. She promises to teach us the Art of the Sword and she cheats! “I have studied in Crab Alley”: If 2+ Wizards, she will cast a cheat Storm Prism and Triton on caster when you first cast a blade. Doctor Jackall gives Margherita a bad performance review and banishes her to Newgate. In retribution, she tells you to grab the ladder to ascend to the Royal Airship. There we meet the scholarly Mister Utterson and Mister Poole. You proceed to tangle with them instead of partaking in their Wizard flying experiments. Upon their defeat, Mister Poole and Mister Utterson take solace that the Control Deck is locked up tight. Apparently they have a different definition of “locked up tight.” Upon entering the next room, you encounter a puzzle. Move two levers where the lines don’t match up to free health wisps and move on. If you make a mistake, you’ll fight the Union Jack Golem. In the next room, we encounter Doctor Jackall for the last time. He tells us that he has tapped into a more powerful form named Mr. Hound, although it won’t last for long. 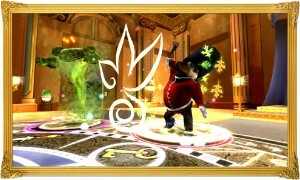 The Queens Jewels will allow him to perfect his solution and become Mister Hound forevermore. We decide not to leave him to his research and take the path to mortal enemies (given the cheats he has, we’re not sure if this was a good decision). Dr. Jackall admits that he has done wrong and suffers to go his own dark way. Upon her release, the Queen asks you to bring her home after that “spot of bother.” Back in the Palace, Sherlock congratulates you while Watson tells you that he will write up his case notes. We already start envisioning the autograph sessions! 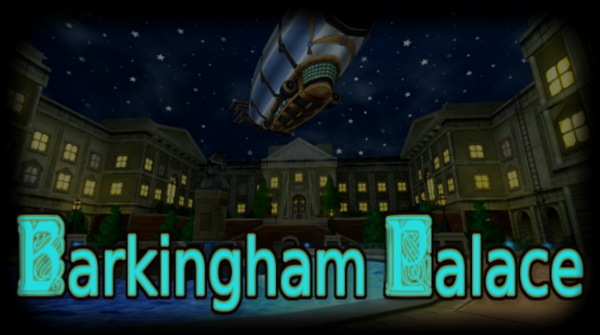 See our Barkingham Palace gear guide here! 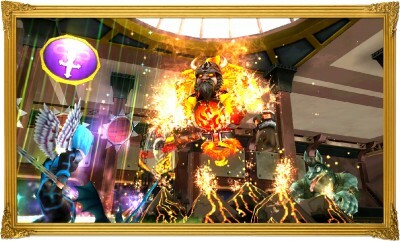 What strategy tips do you have for the Doctor Jackall battle? Jewel was an active part of the Duelist101 community until she decided to retire. She has always been a great team player and has written articles that even today are still current. We are honored to have her permission to display them on Final Bastion. The dialogue links lead to 404 Error Pages. Please fix that for the next time someone tries to look at the dialogue.